New rules and character options for campaigns laced with intrigue. 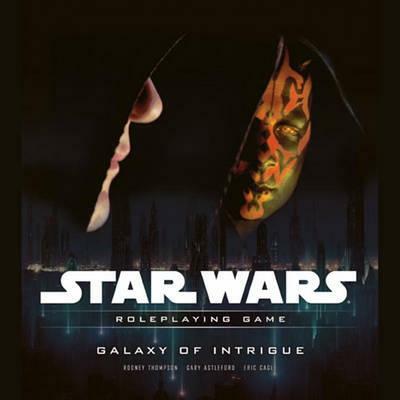 The Star Wars galaxy is rife with treachery and intrigue, from the machinations of Darth Sidious and the Bothan SpyNet to the secret agendas of the Rebel Alliance and the Empire. This supplement gives players and Gamemasters everything they need to run games and play characters in a galaxy of intrigue. This book provides new options and gear for nobles and other sly-minded characters, as well as a host of adventure hooks and campaign seeds that can be used to inject elements of intrigue into campaigns of all eras. It also includes rules for running skill challenges.